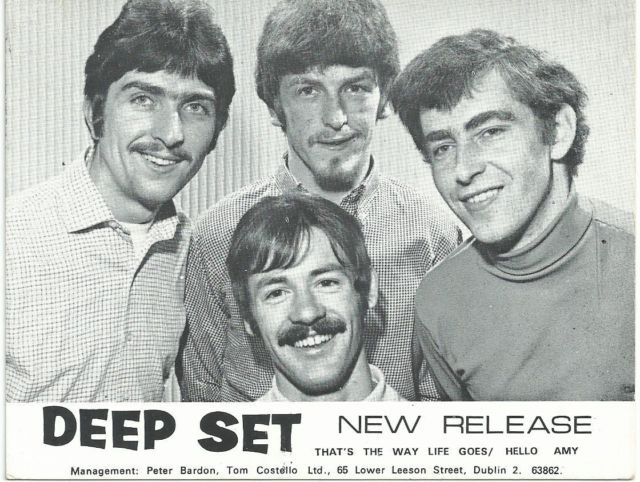 Originally formed as Paul & The Deep Set in 1965 from the ashes of earlier bands including The Chimes. 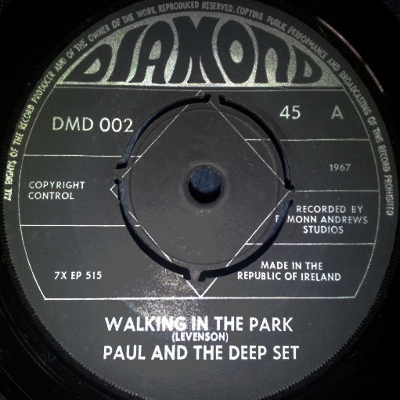 Their first two singles were released as Paul & The Deep Set. 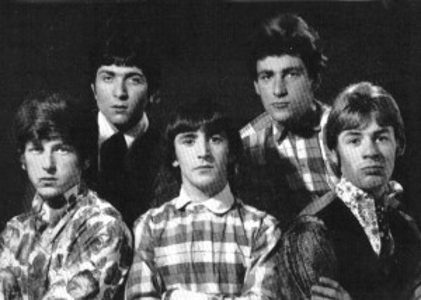 Both A-sides were Neil Levenson compositions brought to Ireland by Liam McKenna of the Creatures in 1966. The first of these, "The House With The White Washed Gable", was originally titled "221 East Maple". It was rewritten and retitled by Greenbeats manager Kevin Dunne. John Keogh of Greenbeats guests on piano. 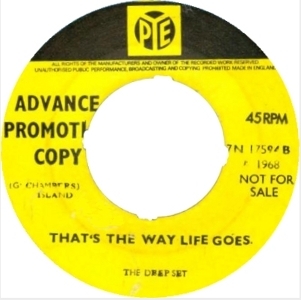 A slower version of the same song was released a month later by the more established Joe Dolan & The Drifters. The B-side is far better, a ballad with a Beatles-ish harmony vocal and some nice lead guitar. 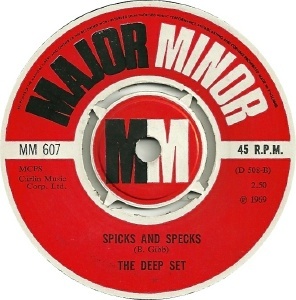 The same is true of the second single with the B-side "Wrong About You" easily the stronger track, a Merseybeat-ish number with some stinging lead guitar breaks. 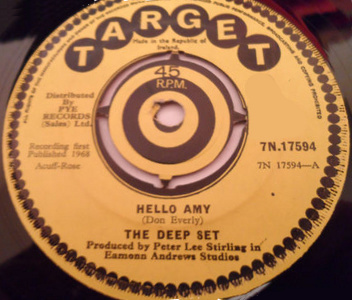 For the third single, credited to The Deep Set, the band chose a cover of Don Everly's "Hello Amy". It was released on Target in Ireland and Pye in the UK. 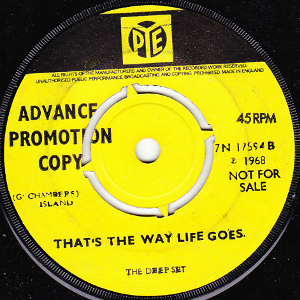 The UK release reputedly had the sides reversed, with "That's The Way Life Goes" as the A-side, though promo copies show it as the B-side. This was a band original (Philip O'Duffy & Gerry Higgins, who wrote most of the band's original material) and is an excellent beat track with a lively bassline. Their fourth single (on their fourth label!) came out in 1969 and consisted of two Bee Gees covers. 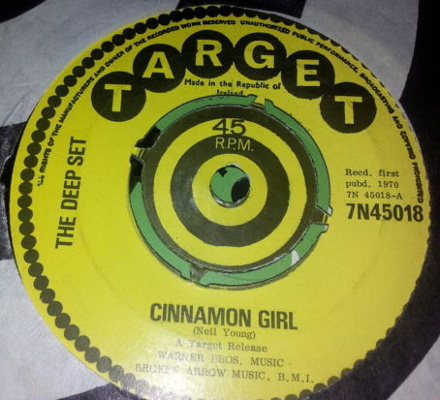 The fifth and final single backed a fine cover of Neil Young's "Cinnamon Girl" with a band original "You'll Never Know". The band appeared at the Living Music Festival in Wexford on 11-13 September 1970 with Thin Lizzy and Tara Telephone among others (in fact Thin Lizzy played the Friday night, Deep Set the Saturday night, and Tara Telephone the Sunday night). A recording of the band's live set made by bassist Willie Lynch on a Sony two track reel to reel tape survives to this day. It was recorded in a school hall in Ballyfermot in Dublin in 1971. The lineup by this stage was Willie Lynch (bass/vocals), Leslie O'Neill (drums), Gerry Higgins (rhythm guitar) and Gus Guest (lead guitar). Paul Butler and Philip O'Duffy had left the band. The set consists of covers including "Southern Man", "Born To Be Wild", "The Nazz Are Blue" (Yardbirds), etc, all done in guitar heavy style with lots of effects, and is of surprisingly good sound quality. Perfect bonus material for a discography CD if anyone out there has the means to get such a thing done. Willie Lynch emigrated to the USA in 1971 where he is still active as a musician. The band split the same year. Philip O'Duffy became Johnny McEvoy's long-serving guitarist. Gus Guest joined Horslips for about a year, replacing Declan Sinnott. Both sides are Bee Gees covers. The A-side is a Neil Young cover. 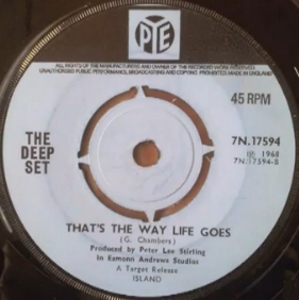 The B-side is by Higgins & O'Duffy. 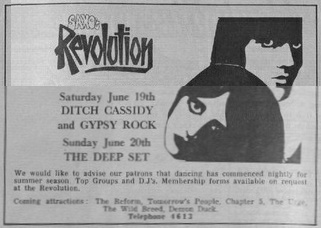 An unreleased recording of a live set in 1971. CD - Sequel Records - NEX CD 262 - UK - 19? ?